A worldwide youth video festival and contest is helping to provide a voice to girls and young women whose films act not only as creative expressions of their own realities and the oftentimes critical issues that they face, but also as catalysts for global discussion and transformation. Since 2009, the contest has received close to 1,200 entries from 120 countries around the world. This year, a discussion guide — in English, Spanish, French, and Arabic – is available to help educators and youth leaders use the films to spark wider dialogue. 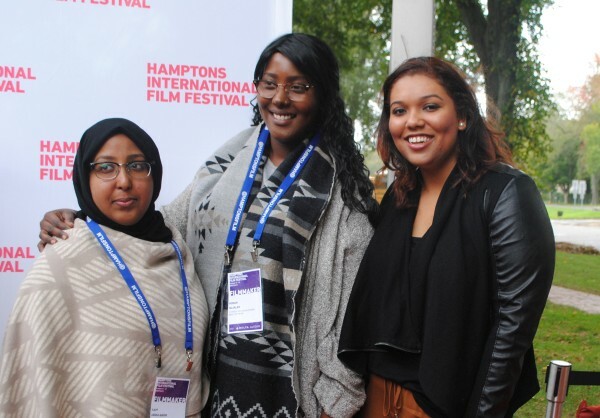 At the Hamptons International Film Festival in East Hampton, N.Y., in mid-October, selected winning films from Plural + were shown to students from local middle and high schools as part of an educational outreach program, and several young female filmmakers spoke about their motivation and inspiration. Siarrah Kane made “She Who Is” through a program called Reel Youth in Vancouver, Canada, partnering with Jakub Markiewicz, Alia Youssef, and Christie Kay. 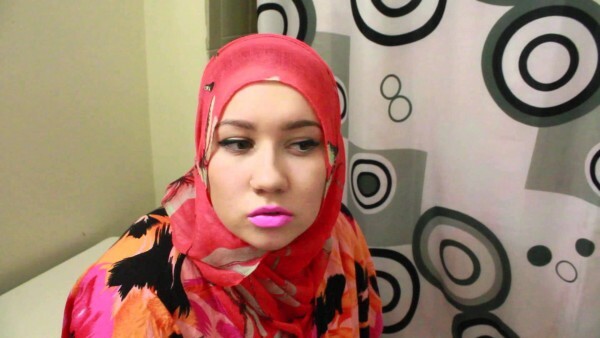 “3 Things You Should Know About My Hijab.” Kayf Abdulqadir (one of the filmmakers). Photo Monica Schipper. It’s “ridiculous,” Kane asserts, that she sees few, if any, women like herself on TV, or working on film sets. Kane and her partners chose to focus “She Who Is” on discrimination and judgment against women by other women. “Women can be quite competitive with one another,” she observes – a consequence of societal conditions that limit opportunities for women and subject them to standards different from those facing men. Both Kane and the two other young female filmmakers who sat on the recent panel discussed the impacts of stereotyping and a lack of role models for girls in media. “I can’t tell you how many times people have told me, you don’t act like a black person,” Kane describes. “Do you mean based on what the media shows you – okay,” she responds. Kayf Abdulquadir, left, Hodan Hujaleh, center, and Siarrah Kane, at right. Photo Monica Schipper. True to Kane’s words, this year’s entries include a film about the experience of young Syrian refugees; an animated short about a child bride in India; a Jordanian girl’s look at self-expression and the role clothing, including the hijab, plays in defining girls’ rights and status; a film by middle-school students in Afghanistan, where up to 70 percent of young girls are unable to attend school, looking at the impact of war on youth in that country; a film by a girl from Moldova about the impact of her mother’s choice to migrate to another country for work; a Portuguese girl’s film about the meaning of gender identity, and an Indonesian girl’s examination of her own cross-cultural heritage. Additionally, several contest films address boys’ perspectives on girls. “Paper Dolls” features teenage boys talking about girls, and the girls’ responses, and “Raw Elements – Respectful Connections” is a music video that addresses comments about gender equality and violence toward women, to males. Two other festival participants are working to combat stereotypes using the medium of YouTube channels. “There was nobody that looked like us,” says Kayf Abdulqadir, a Somali Muslim from Ottawa. With Hodan Hujaleh, also a Somali Muslim living in Canada, she has two YouTube channels that present short videos showing realistic aspects of their own lives – Specs and Veil Productions and The Cool Ciyaal, (or “the cool kids,” in Somali). “We’ve never seen ourselves in the media,” Hujaleh agrees. Though neither professes to be more than her own unique self – they don’t seek to be representative of any group, avoiding the stereotyping they are working against — many Somali youth have responded to their videos, seeing themselves in the skits. Their winning entry in the U.N. contest, “3 Things You Should Know About My Hijab,” made with Sarah Champagne, uses humor to introduce viewers to the universal side of Abdulqadir, who wears a hijab. “You know, we’re all human at the end of the day,” Hujaleh assures. The two women, both 24, strive to be role models for other young people, female Somalis in particular, who are interested in media-making. “If they have this safe zone where they see people who look like them doing what they’re doing, it makes them a lot more comfortable and willing to start it,” Abdulquadir says. “We want to inspire them,” says Hujaleh. They hope soon to begin offering workshops in their community for Somali youth, particularly girls, to learn about media production. An awards ceremony for the 2015 Plural + Youth Video Festival will be held Paley Center for Media in Manhattan on December 3. It will include workshops in the afternoon followed by the awards and a reception.